The Professional Regulation Commission (PRC) officially released on Friday, April 17, 2015 the list of passers for April 2015 Electronics Engineer (ECE) and Electronics Technician (ECT) board exam. 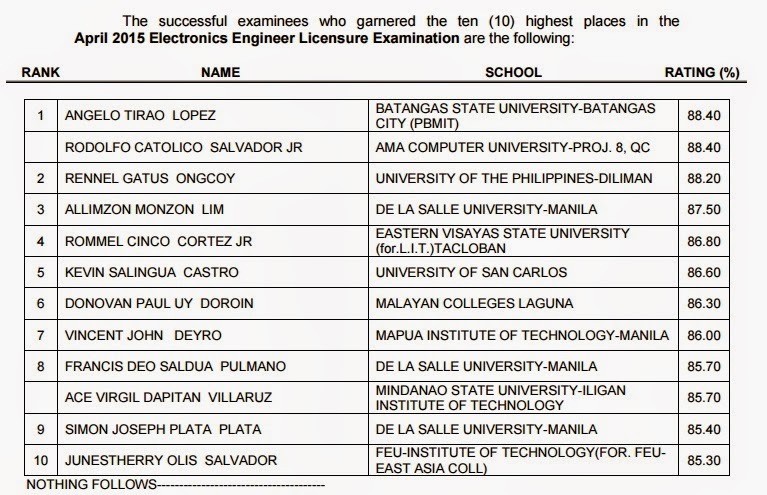 Angelo Tirao Lopez of Batangas State University (BatSU) and Rodolfo Catolico Salvador Jr. of AMA Computer University in Quezon City tied on first place for ECE board, identical 88.40 percent grade. Rennel Gatus Ongcoy of University of the Philippines - Diliman (UP-D) placed second with 88.20 percent grade. 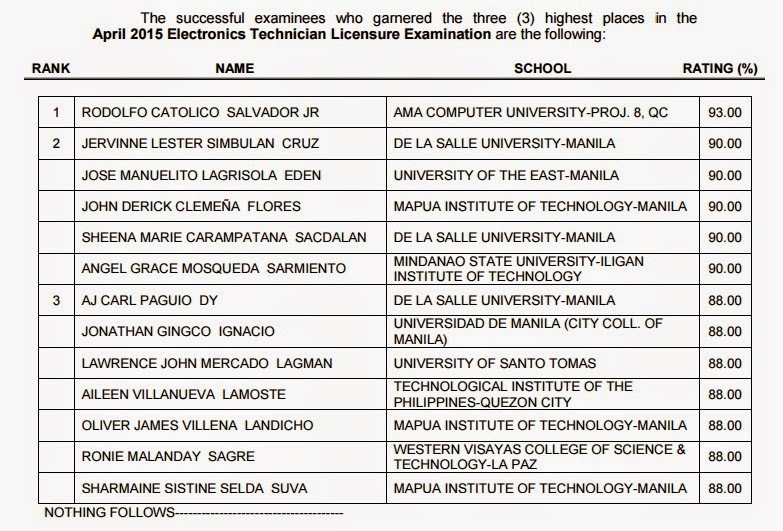 Meanwhile, Catolico also topped on ECT board exam with 93.00 percent rating. It was followed by graduates from De La Salle University - Manila (DLSU), University of the East (UE) - Manila and Mapua Institute of technology (MIT).